I have recently joined this wonderful community and I am, obviously, new to Airfix. 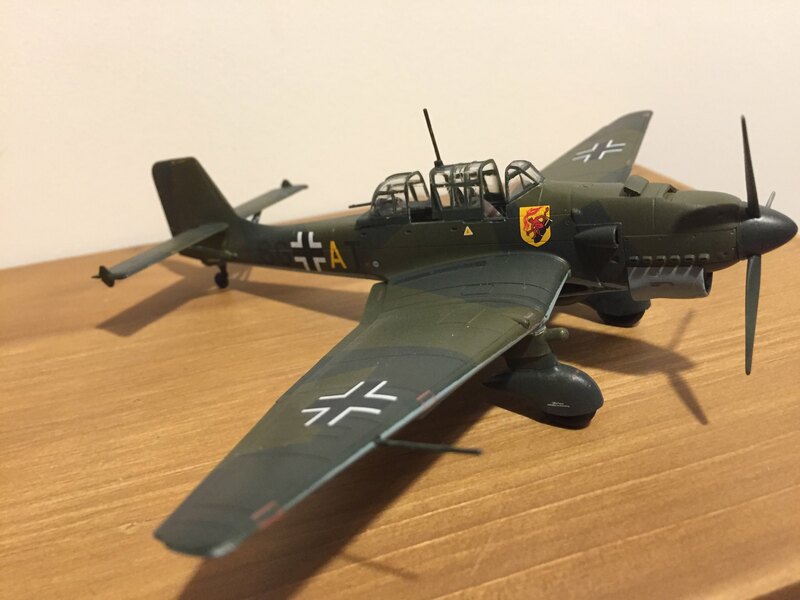 I have decided to add this amazing activity to my hobbies and I just have a newbie question: I have got this Junkers Ju87B-2 as a present and I would like some guidance regarding the tools, paints and any other additional things which need to be purchased prior to starting to build this aircraft. I am actually into ships and, after I finish this aircaft I will be ordering a ship model to build. More exactly, can I buy a general tool box kit, paints, etc..and from where? Also very handy for final polishing, especially to get transparencies sparkling, is a two/three way nail polisher. My personal favourite is The Edge Super Shiner. One of these days I'll get around to doing a 'beginners - what you need to get started' piece. Tools Swann-Morton scalpel A good hobby knife (not a big Stanley type) with a few blades, straight edged and curved. Zip-lock plastic bags (various sizes) Side cutters Sandpaper/sanding board/file or wet & dry Glue A decent pair of tweezers with a good grip at the tips A wooden block or cutting mat Any paint brushes you buy should be good quality ones, you will require 3 or 4 different sizes, Winsor and Newton are recognised as being quite good, and look after them. Nothing wrong with a 'big Stanley knife' if your comfortable using it! I've been using 1 for nearly 5 decades and only added a small craft knife to my tools about 10 years ago. Have modernised that lately to a Swann-Morton but the Stanley knife still makes an appearance when required!! A set of mini-drills and a pin vice (aka a pin chuck) without a knob on the end (the knob makes it much easier to break bits). My top tip from someone who has just got back into model making after a gap of 35 years is to buy an airbrush. £60 will get you the whole kit including a compressor, hose etc. Then all you need are paints and thinners (if you use acrylics then water can be used). Sanding sticks, tweezers etc from poundland - no need to pay inflated prices for the same thing from a model shop.